Saratoga Springs, NY - Lawrence Edelson, Artistic and General Director of Opera Saratoga, announced today the program for the 2016 Summer Festival, which will run from May 28th through July 17, 2016. The season will feature three new productions, along with a diverse slate of recitals, concerts and master classes at multiple locations in Saratoga Springs, New York. The complete season schedule, including the full calendar and details for all concerts and special events, will be announced in October. Subscriptions will go on sale October 31st, 2015, including special packages for out of town guests. Single tickets will go on sale February 1st, 2016. A cornerstone of the operatic repertoire and one of the most frequently performed operas around the globe, Le nozze di Figaro returns to Opera Saratoga for the first time in twenty years. Beaumarchais’ play, upon which the opera is based, serves as the sequel to Il barbiere di Siviglia (The Barber of Seville). In an already volatile political climate, the play created a stir by pitting witty servants against their masters. The opera adaptation was originally banned in Vienna because of the licentiousness of the play, but Mozart’s librettist Da Ponte managed to get official approval, after which the opera was written and became a tremendous success. It was the first collaboration between Mozart and Da Ponte, the partnership, which later brought us Don Giovanni and Così fan tutte. Le nozze di Figaro continues the plot of The Barber of Seville several years later. The Count has married Rosina and made her the Countess, but their marriage has gone sour because of his philandering. Figaro has quit barbering and is now the Count’s major-domo. He is engaged to Susanna, who is Countess Rosina’s maid - and the Count’s intended conquest. Bartolo is back to seek revenge on Figaro for taking Rosina away from him, with the help of the conniving music-master, Basilio. Adding to the fun are an amorous teenager, a scheming old maid, a drunken gardener and his daughter. Much happens over the course a single “day of madness” in this beloved masterpiece. Chinese bass Peixin Chen makes his Opera Saratoga debut as Figaro, and soprano Chelsea Basler - an alumna of Opera Saratoga’s Young Artist Program previously seen as Josephine in H.M.S. Pinafore – returns as Susanna, his bride to be. The production also features the company debuts of soprano Katherine Whyte as the Countess and baritone Keith Phares as the Count. Andrew Bisantz makes his conducting debut with the company, along with director David Paul who helms this new production. Le nozze di Figaro will run from June 24 to July 15, 2016. The second production of the season will be the American premiere of Philip Glass’ The Witches of Venice - an opera-ballet originally written for Teatro alla Scala in Milan that premiered in 1995. This whimsical opera that incorporates dance throughout was composed in collaboration with illustrator and stage designer Beni Montresor, who adapted the libretto from his children’s book of the same name. Based in the historical Venice of Carnival, The Witches of Venice is a whimsical tale about a boy grown from a plant in the King’s garden, who is looking for a little girl like him. He soon finds himself escaping captors, wandering dark hallways, fleeing monsters, and ultimately finding a friend. It is a heartfelt story, with underlying themes of self-acceptance and finding one’s place in the world. The Witches of Venice is one of Glass’ most creative scores – a family-friendly opera featuring inventive songs, exhilarating dances, fantastical music portraying monsters and fairies, and savvy scoring that carries the story along. Opera Saratoga is thrilled to introduce American audiences to an important and little known work by one of America’s most important composers, and to continue its commitment to presenting contemporary American work as well as operas in which dance plays an integral role. Internationally renowned director and choreographer Karole Armitage, who made her debut with Opera Saratoga this past summer creating the company’s critically acclaimed production of Dido and Aeneas, returns to direct and choreograph this American premiere production. Viswa Subbaraman, Artistic Director of Skylight Music Theater and former Artistic Director of the innovative contemporary opera company Opera Vista in Houston will conduct. Principal roles will be sung by members of Opera Saratoga’s Young Artist Program, the second oldest mentorship program for emerging professional singers in the country. Applications for the program, directed by Laurie Rogers, are being accepted through September 12, 2015. Auditions will be held in Houston, Cincinnati and New York City in November. Last season, Opera Saratoga received over 1,000 applications for the program. As with last season’s production of Dido and Aeneas, members of the New York City based Armitage Gone! Dance Company will also be featured prominently in the production. In addition The Witches of Venice provides important opportunities for collaborations with other organizations in the region. Opera Saratoga will collaborate with The Capital District Youth Chorale, upstate New York’s premiere children’s chorus under the direction of Diane Warner, as well The School of the Arts at The National Museum of Dance under the direction of Raul Martinez, to provide opportunities for local children to perform alongside professional artists in the opera, which includes a children’s chorus and extensive use of both child and adult dancers. The Witches of Venice will run from July 1 to July 17, 2016. Based on the Academy Award-winning 1994 Italian film that became a surprise hit with audiences around the world, and also on the 1985 novel Ardiente Paciencia by Antonio Skármeta, Il Postino tells the story of a shy young postman in a tiny Italian fishing village, who discovers the courage to pursue his dreams through his daily deliveries to his only customer, the esteemed Chilean poet Pablo Neruda. The role of Neruda was originally written for Plàcido Domingo, who sang the role at the opera’s premiere in 2010 at Los Angeles Opera – just months before composer Daniel Catán’s tragic death at the age of 62. Catán is known for a neo-romantic style that has been compared variously to Puccini, Ravel and Debussy, with lush orchestrations and lyrical melodic lines. Tonal and accessible, his work has proven immensely popular with audiences. Il Postino will be the first Spanish opera performed in Opera Saratoga’s history. The cast will feature the company debuts of three international singers: tenor Daniel Montenegro will sing the title role of Mario Ruoppolo - the postman - a role he recently sang in Paris at the Théâtre du Châtelet; tenor Richard Troxell sings the role of Pablo Neruda; Cecilia Violetta López sings the role of Beatrice; and soprano Sandra López sings the role of Matilde Neruda, the poet’s third wife. James Lowe also makes his company debut conducting the production, which will be directed by Opera Saratoga’s Artistic and General Director Lawrence Edelson. Il Postino will run from July 5 to July 16, 2016. Soprano Katherine Whyte has performed on opera and concert stages across her native Canada, the United States and Europe, most recently returning to the Canadian Opera Company as Iris in Semele at the Brooklyn Academy of Music, the Metropolitan Opera as Brigitta in Iolanta, and as a recitalist with their Rising Star Recital series. She sang the Countess in The Princeton Festival’s production of Le nozze di Figaro, and appeared with the Orquesta Sinfonica Nacional in Beethoven's 9th Symphony. The 2015-2016 season brings a debut with the Dallas Opera and a return to the Metropolitan Opera Company for their production of Rigoletto. Ms. Whyte made her debut with Canadian Opera Company in the 2011-2012 season in the title role of Iphigénie en Tauride and returned the same season as Iris in Semele. Following her Metropolitan Opera debut in 2007 in Strauss’ Die ägyptische Helena, she has returned for The Gambler, The Enchanted Island, Two Boys, and Parsifal. Other highlights include her Vancouver Opera debut as Donna Anna in Don Giovanni, Beethoven’s Mass in C Major and Stravinsky’s Pulcinella with the Houston Symphony, Carmina Burana with the National Chorale, Mozart’s Requiem with the Alabama Symphony Orchestra, Gilda in Rigoletto with English National Opera, Pamina in Die Zauberflöte with Michigan Opera Theatre, Euridice in Gluck’s Orfeo ed Euridice with Atlanta Opera, and Iphis in Handel’s Jephta with Opéra National de Bordeaux. American soprano Chelsea Basler has been praised for her “luminous voice,” “easy soaring range,” and “wonderful acting.” Critics have hailed her as “golden-voiced” and “simply superb.” Her recent portrayal of Isolt in Boston Lyric Opera's production of The Love Potion was described as "lovely, passionate, and clear" (Opera News). Additional highlights of the 2014/15 season included return engagements as an Emerging Artist with the BLO performing the roles of Flora in La Traviata, Glasha in Katya Kabanova, and Zerlina in Don Giovanni. Recital and oratorio engagements included a recital at the National Opera Center in New York City, Mozart's Exultate Jubilate with the Atlantic Symphony Orchestra, and Vivaldi's Gloria with the Clearlakes Chorale. Basler has championed multiple roles in the American opera repertoire, including Margaret (Lizzie Borden) with BLO, and Guardian of the Dawn (Little Nemo in Slumberland) and Curley’s Wife (Of Mice and Men) with Sarasota Opera. Most recently she was seen performing the role of Sara in the world premiere of Jennifer Higdon’s Cold Mountain at The Santa Fe Opera. She will be joining BLO again this season in their production of The Merry Widow as Valencienne, and is thrilled to be returning to Opera Saratoga, where she previously sang the role of Josephine in H.M.S. Pinafore as an Apprentice Artist, as a Principal Artist in the role of Susanna in Mozart’s Le nozze di Figaro. Equally comfortable on the concert stage, Basler will also be performing Mahler’s 4th Symphony and Barber’s Knoxville: Summer of 1915 with the Atlantic Symphony this season. A noted interpreter of Mozart and bel canto repertoire as well as today’s composers, baritone Keith Phares is regarded as one of his generation’s most versatile artists. Recent engagements have included Zurga in Les pêcheurs de perles, and Marcello in La bohème with Seattle Opera; Charlie in Three Decembers with Florentine Opera; John Sorel in The Consul, and Orin Mannion in Mourning Becomes Electra with Florida Grand Opera; the Count in Le nozze di Figaro with New Orleans Opera; the title role in Elmer Gantry with Tulsa Opera; the title role in Der Kaiser von Atlantis in a joint production with Central City Opera and Colorado Symphony; the premiere of Paul's Case with UrbanArias; and the premiere of The Scarlet Ibis with the Prototype Festival. Future engagements include Elder Tull in the world premiere of Riders of the Purple Sage with Arizona Opera. For his debut with Florentine Opera, he portrayed the title role in Elmer Gantry. A live recording of this performance is now available from Naxos records. Mr. Phares made his Houston Grand Opera debut in the premiere of Jake Heggie’s Last Acts (Three Decembers); and returned to the stage of Opera Theatre of Saint Louis in a new production of Martín y Soler’s Una cosa rara. A graduate of the Juilliard Opera Center, he was a national winner of the 1998 Metropolitan Opera National Council Auditions and a finalist in the 1999 Eleanor McCollum Competition of the Houston Grand Opera. Bass Peixin Chen is a recent graduate of the internationally renowned Houston Grand Opera Studio, and a student of Dr. Stephen King. His roles with the Company have included Ferrando in Il trovatore (2013), 2nd SS Officer in The Passenger, Bonze in Madama Butterfly, and Montano in Otello (2014), and Sarastro in The Magic Flute as well as Hunding in Die Walküre (2015). During the 2015-16 season, Peixin assays the title role of Le nozze di Figaro for Opera Saratoga and returns to Houston Grand Opera as Bartolo in the same work. On the concert stage, he joins Andrés Orozco-Estrada and the Houston Symphony for Beethoven’s Ninth Symphony. Recent performances have featured the Chinese bass as Sparafucile in a company debut at the Santa Fe Opera in a new production of Rigoletto directed by Lee Blakeley and conducted by Jader Bignamini, as well as at the Washington National Opera as Dulcamara in L’elisir d’amore. Mr. Chen has bowed as the King in Aida under the baton of Zubin Mehta as well as both Bartolo in Le nozze di Figaro and Basilio in Il barbiere di Siviglia at the National Center for the Performing Arts (NCPA) in Beijing, and in The Passenger at the Lincoln Center Festival at the Park Avenue Armory. As a member of the Merola Program under the auspices of San Francisco Opera, Peixin Chen has sung Basilio in Il barbiere di Siviglia. On the international stage, Peixin Chen has worked with an illustrious list of conductors and directors including Lorin Maazel, Giancarlo del Monaco, Michel Plasson, David Pountney, James Robinson, Evan Rogister, Patrick Summers, and Francesca Zambello. David Paul has worked as a stage director on operatic and theatrical stages throughout the United States and abroad. Equally at home in opera and theater, Mr. Paul's productions have been praised by critics and audiences for their ingenuity, attention to musical and dramatic detail, and the powerful, nuanced performances he draws from his performers. He is affiliated with the Metropolitan Opera’s Lindeman Young Artist Program and The Juilliard School, where he recently directed their critically acclaimed coproduction of Iphigenie en Aulide. Other recent highlights include Chekov’s The Seagull and Sarah Ruhl’s Euridice at Columbia University; Le nozze di Figaro for Wolf Trap Opera; American Soldier by David Henry Hwang and Huang Ruo at Washington National Opera; Il Trovatore and Aida at North Carolina Opera; and La Cenerentola, Die Zauberflöte, The Rake’s Progress, and Carmen for Music Academy of the West. In 2008, he was invited to serve on the artistic staff of the Shakespeare Theatre Company in Washington. Under the leadership of Michael Kahn, he adapted and directed Shakespeare's Hamlet and assistant directed productions of King Lear, Julius Caesar, Romeo and Juliet, and Euripides' Ion. He previously served on the artistic staff of Perseverance Theater, Alaska's flagship theater. While in Alaska, he adapted and directed Lorca's Blood Wedding, and served as music director on productions of Twelfth Night, King Island Christmas and Hair. Internationally acclaimed American conductor, Viswa Subbaraman, is currently the Artistic Director/Music Director of The Skylight Music Theatre in Milwaukee, WI. In his inaugural season at the Skylight, highlights included a number of critically and audience acclaimed productions including Beethoven’s Fidelio, which he both stage directed and conducted, Hans Werner Henze’s El Cimarrón, and Philip Glass’ Hydrogen Jukebox. Subbaraman recently conducted the world premiere of Somtow Sucharitkul’s The Snow Dragon, which became the Skylight Music Theatre’s first touring production to Thailand. Most recently, Subbaraman was selected by INKTalks in India as a 2014 INK Fellow, named by On Milwaukee magazine’s Dave Begel as one of Milwaukee’s 14 most influential people, and selected by the Milwaukee Business Journal as one of Milwaukee’s most influential 40 Under 40 for 2015. 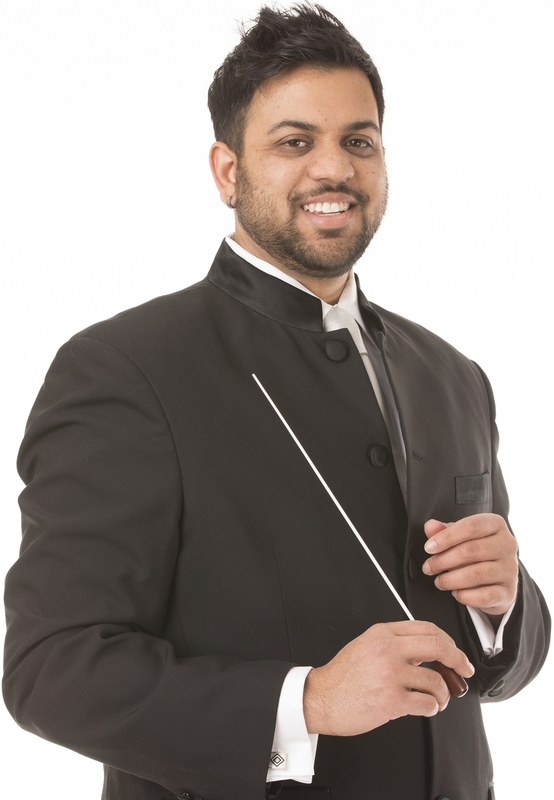 Equally comfortable in the orchestral realm as with opera, Mr. Subbaraman served as Assistant Conductor of the Orchestre National de France where he assisted Kurt Masur and such distinguished artists as Bernard Haitink, Riccardo Muti, and Colin Davis. Highlights of his tenure with the ONF include the world premiere of the Overture du Roi Lear by Paul Dukas and the French premiere of the Symphony for Trombone and Orchestra by Ernst Bloch, which has been recorded and released under the title Tranquille through the districlassic label. Karole Armitage, director of the New York-based Armitage Gone! Dance Company, was rigorously trained in classical ballet. As a professional dancer she performed in Balanchine’s Grand Théâtre de Genève Company and in the Merce Cunningham Dance Company. Armitage is renowned for pushing the boundaries to create contemporary works that blend dance, music and art to engage in philosophical questions about the search for meaning. She joins a legacy of process-focused experimental dance that embraces the ballet and modern dance heritage as well. She directed the Ballet of Florence. Italy (1995 - 99) and the Biennale of Contemporary Dance in Venice (2004), and served as resident choreographer for the Ballet de Lorraine in France (1999 - 2004). She has created works for many companies, from The Bolshoi Ballet in Moscow to the Tasmanian Dance Company in Australia. She has choreographed two productions for the New York Philharmonic, directed opera at important European Opera Houses including Teatro di San Carlo in Naples and Théâtre du Châtelet in Paris, two Broadway productions (Passing Strange and Hair, the latter earning her a Tony nomination), videos for Madonna and Michael Jackson, several films for Merchant Ivory productions and the Cirque du Soleil production Amaluna (2012). Ms. Armitage, the recipient of a Guggenheim Fellowship, was awarded Commandeur de l'Ordre des Arts et des Lettres, France’s most prestigious award in 2009, and an honorary Doctorate of the Arts from the University of Kansas in 2013. Soprano Sandra López captivates audiences around the world with critically acclaimed performances in a wide variety of roles including the title roles of Tosca and Suor Angelica, Cio-Cio San (Madama Butterfly), Nedda (I Pagliacci), Catherine (A View from the Bridge), Liù (Turandot), Micaela (Carmen), Mimì (La Bohème), Tatiana (Eugene Onegin), Marguerite (Faust), Violetta (La Traviata), with companies including the Metropolitan Opera, Florida Grand Opera, Opera de Oviedo, Palm Beach Opera, Fort Worth Opera, and Virginia Opera. Recently, Ms. López appeared with the Finnish National Opera for her role debut as Elisabetta (Don Carlo) and with Teatro la Fenice as Mimì (La Bohème). She debuted with the Nuremberg Symphony and the Lithuanian National Opera and Orchestra, and she portrayed Juana Ines de la Cruz in the world premiere of With Blood, With Ink for Fort Worth Opera (released commercially on Albany Records in the fall of 2014). After winning the Metropolitan Opera National Council Award, Ms. López joined The Met’s Lindemann Young Artist Development Program where she covered and performed roles such as Catherine (A View from the Bridge), Marguerite (Faust), Liù (Turandot), Roberta Alden (An American Tragedy – world premiere), Frasquita (Carmen), Tebaldo (Don Carlo), Fourth Maid (Elektra), and Flowermaiden (Parsifal). Highlights of 2015-16 include her debut with the Boston Symphony as the Fourth Maid in Elektra and two operas by Daniel Catán: the title role of Florencia en el Amazonas with Arizona Opera, and Matilde in Il Postino with Opera Saratoga. Soprano Cecilia Violetta López, recently named one of opera’s “25 Rising Stars” by Opera News, has been praised for her “alluring voice and incredible range,” (Washington Times) and her “voice: plush and supple, exquisitely colored.” (San José Mercury) After joining the roster of The Metropolitan Opera last season for their landmark new production of The Merry Widow, this season, Ms. López joins Opera Tampa as Fiordiligi in Così fan tutte, Violetta in La traviata, and Zerlina in Don Giovanni, and makes her company debut with Opera Saratoga as Beatrice in Il Postino. In recent performances, she sang Gilda in Opera Idaho’s production of Rigoletto, Magda in La rondine with Skylark Opera, appeared in Bard SummerScape’s Song Cycle Series singing a Spanish song recital, and Violetta in La traviata in her début with Virginia Opera. Ms. López made her role début as Violetta in La traviata in the Martina Arroyo Foundation’s prestigious summer festival, Prelude to Performance. From this performance, the New York Observer exclaimed “[López delivered] a performance of the leading role of Violetta that is among the loveliest I have witnessed on any stage. Ms. López recently completed a tenure as a Resident Artist at Opera San José where she performed as Leïla in Les pêcheurs de perles, Roselinda in Die Fledermaus, Leonora in Il trovatore, the title role in Suor Angelica, Lauretta in Gianni Schicchi, Nannetta in Falstaff, Gretel in Hänsel und Gretel, Cio-Cio San in Madama Butterfly, and Donna Anna in Don Giovanni. Ms. López was awarded First Prize and Audience Favorite in the 2014 Irene Dalis Vocal Competition. She was a semifinalist in the 2011 Loren Zachary Vocal Competition in Los Angeles and won the 2012 The Metropolitan Opera National Council Auditions for the Utah District, advancing to the Rocky Mountain Regional Finals at the Ellie Caulkins Opera House in Denver, Colorado. A graduate of San Francisco’s prestigious Merola Opera Program, recent seasons for tenor Daniel Montenegro have included his European opera debut at the Théâtre du Châtelet as Mario in Daniel Catán’s Il Postino alongside Plácido Domingo, as well as a number of significant role and company debuts including Roderigo (Otello) with San Francisco Opera under Nicola Luisotti, Alfredo (La traviata) with Minnesota Opera, Nemorino (L’elisir d’amore) with Washington National Opera, Pang (Turandot) at the Hollywood Bowl under Dudamel and most recently Roméo (Roméo et Juliette) for Tulsa Opera and at the Castleton Festival. This season Daniel makes his role and company debut as the Prince in John Adams’ A Flowering Tree with Teatro Nacional de São Carlos and reprises the role of Mario with Opera Saratoga. As a San Francisco Opera Adler Fellow and former Resident Artist of the Minnesota Opera, Daniel has sung a wealth of roles including Liverotto and Rustighello (Lucrezia Borgia), Pong (Turandot), Remendado (Carmen), Tamino (Die Zauberflöte), Nick (The Handmaid’s Tale) and Flavio (Norma). He has also sung Steuermann (Der fliegende Holländer) with both Portland and Arizona Operas and the Shepherd in Peter Sellars’ production of Oedipus Rex at the Sydney Festival under Joana Carneiro. An ongoing collaboration with Los Angeles Opera has brought appearances in several productions including the world premiere of Lee Holdridge’s Concierto para Mendez, La Traviata (released on DVD), Carmen, Luisa Fernanda and Il tabarro. Tenor Richard Troxell has thrilled audiences in leading roles at opera houses and concert halls around the world, including Los Angeles Opera, Washington Opera, Sydney Opera, Houston Grand Opera, New York City Opera, the Opera Company of Philadelphia, Boston Lyric Opera, L’Opéra Comique in Paris, Monte Carlo, and Toulouse. Mr. Troxell’s star turn as Pinkerton in Frederic Mitterand’s critically acclaimed film Madame Butterfly received high praise from both film and music critics alike following its 1995 Paris and 1996 New York premieres. Recent career highlights include Roméo with the Palm Beach Opera; Des Grieux in Massenet’s Manon with L’Opéra de Montréal; Pinkerton in Madame Butterfly with Opera Australia; Rodolfo in La Bohème with Opera Colorado; Turiddu in Cavalleria Rusticana with Opera Hamilton; the title role in Philip Glass’ Galileo Galilei with Cincinnati Opera and Portland Opera; and Don José in Carmen for his Italian debut at the Teatro Petruzzelli, as well as at the Castleton Festival with Maestro Maazel, and for Opera Australia, in Beijing and at Vancouver Opera. Equally at home on the concert stage, Mr. Troxell has been seen with the San Francisco Symphony, the Philadelphia Orchestra, and the Saint Louis Symphony as Tenor Soloist in Orff’s Carmina Burana. Other concert engagements of note include Handel’s Messiah with the Pittsburgh Symphony, Mahler’s Die Lied von der Erde with the Detroit Symphony, and Mendelsshon’s Walpurgisnacht with the Denver Symphony. Future engagements include a return to Vancouver as Pinkerton, a return to the Metropolitan Opera for Die Fledermaus and Lulu, and his debut at Opera Saratoga as Pablo Neruda in Daniel Catán’s Il Postino. Lawrence Edelson is highly respected not only as a critically acclaimed stage director, but also as a visionary company leader who has created programs in the areas of artist mentorship and new works development that have served as models of innovation for opera companies around the country. Lawrence is the Artistic and General Director of Opera Saratoga, and the Producing Artistic Director of American Lyric Theater in New York City. As a stage director, Lawrence’s critically acclaimed productions include Philip Glass’ Hydrogen Jukebox (Fort Worth Opera); the American Premiere of Telemann’s Orpheus (Wolf Trap Opera); the World Premiere of Jeff Myers’ Buried Alive (Fargo Moorhead Opera and Fort Worth Opera); the New York premiere of Fauré’s Pénélope (Manhattan School of Music); La Traviata (Minnesota Opera); Carmen (Toledo Opera); Il Barbiere di Siviglia (Hawaii Opera Theater); H.M.S. Pinafore and La Cenerentola (Opera Saratoga); Ariadne auf Naxos, Little Women, Eugene Onegin, Werther, and A Midsummer Night’s Dream (IVAI Tel Aviv); and the world premiere of The ToyMaker Off-Broadway. Lawrence is perhaps best known in the opera field as the founder of American Lyric Theater and the creator of he Composer Librettist Development Program, the only full-time mentorship initiative for emerging operatic writers in the country. A tireless advocate for emerging artists and the diversification of audiences for opera, Edelson also serves on the Strategy Committee for OPERA America, and continues to forge collaborations with opera companies across the country.